The dimensions are slowly being built up throughout each subjects portrait to allow each area to dry thoroughly before moving on. 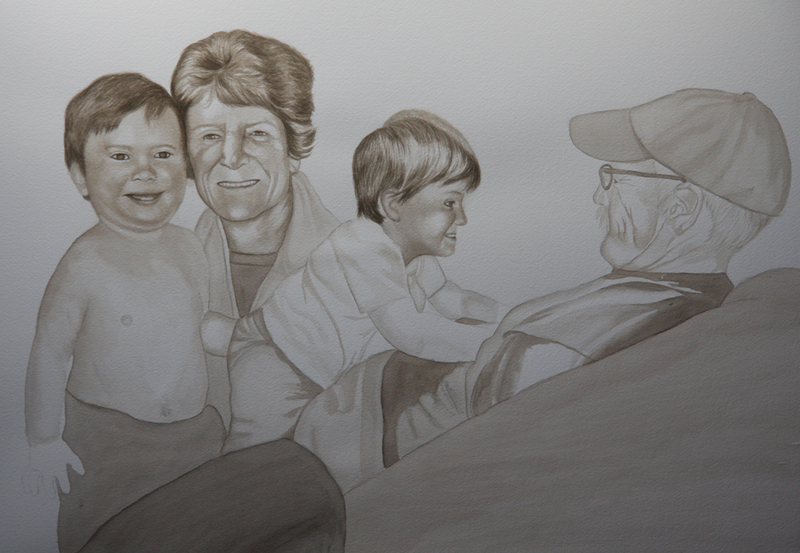 I will continue to add and remove the watercolor pigment which allows for smoother transitions that are still accurate. The hair will continue to be built up in layers and will be more wispy around the edges as the features continue to be refined and sharpened. Areas that may seem a little dark will be lightened and the darkest areas will continue to be built up further.